We love 2 things about Cristel Casteline stainless steel sauce pans with removable handles. These great looking Cristel sauce pans can be used for both cooking AND serving. You can choose handles that best fit how you'll use Cristel saucepans. Long handles are best when cooking, while short handles are best when serving from the pan. Sauce pans from Cristel have a wide top and relatively tall sides for easy stirring and minimal splatters. They all come with matching glass lids. Casteline Cristel cookware is induction compatible, has a lifetime warranty and is made in France. Please note: handles are not included. 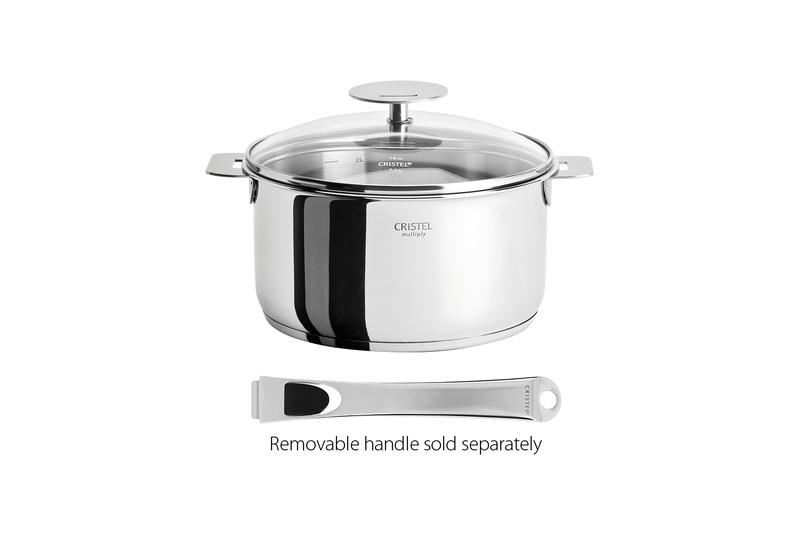 Choose from 4 sizes of Cristel Casteline stainless steel sauce pans with removable handles. Please note, handles are NOT included. Each sauce pan comes with a matching tempered glass lid. Curved edges make pouring easier and help to reduce drips! 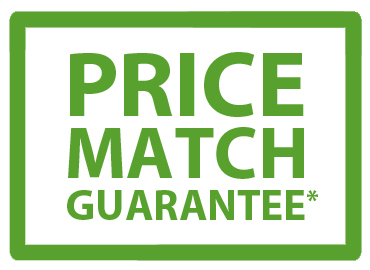 Handles for Cristel Casteline cookware must be ordered separately. Please note, handles are NOT included. Foods retain their expected tastes since the 18/10 stainless steel cooking surface does not react with acids or alkalis to alter flavors. Cristel Casteline cookware heats evenly and quickly as result of two layers of heat-conducting aluminum sandwiched between 3 layers of top quality stainless steel. DO NOT PUT REMOVABLE HANDLES IN THE OVEN OR UNDER THE BROILER. Cristel cookware is made in France. To avoid damage to glass lids, wait until they are at room temperature before putting in the oven. Before washing lids, wait until they have cooled.